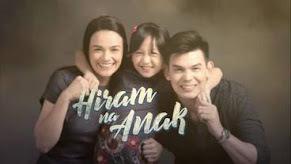 GMA-7 Presents Anniversary Offerrings - New Shows, New TV Series, New Movies Revealed! 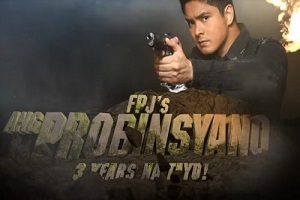 The Kapuso Network continues to forge ahead and chart new grounds this 2013 as it presents a pioneering line up of its forthcoming programs slated to premiere this June as the Network celebrates its 63rd anniversary. First on the list is the television remake of one of the network’s most memorable drama series – ANNA KARENINA. 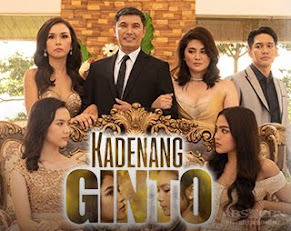 The 2013 version stars Barbie Forteza, Joyce Ching and Krystal Reyes together with Derrick Monasterio, Hiro Peralta and Julian Trono. 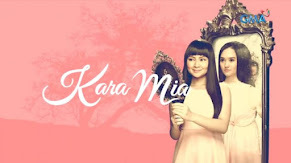 In this modern remake, Barbie will play the role of Karen, while Joyce will take on the role of Nina, and Krystal will assume the role of Anna. 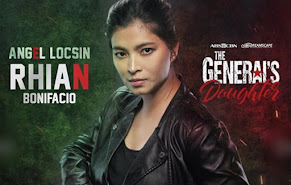 Completing the cast are other reputable names in the industry including Sandy Andolong, Juan Rodrigo, Yul Servo, Neil Ryan Sese, Valerie Concepcion with Allan Paule, Ana Roces, Maybelyn dela Cruz, Maureen Larrazabal, Alicia Mayer, Kathleen Hermosa, Joanna Marie Tan and Yasmien Kurdi in a very special role as Maggie. 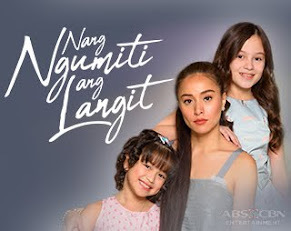 Premiering June 3, this primetime series, which is under the direction of Gina Alajar, tells the story of three girls and their families searching for the real Anna Karenina. Also premiering on June 3 is MGA BASANG SISIW. This upcoming Afternoon Prime soap is a remake of the 1981 classic movie originally topbilled by Sheryl Cruz, Janice de Belen, Che che Perez de Tagle and Julie Vega. 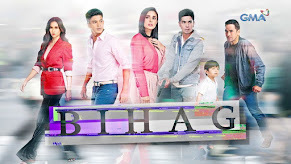 Mga Basang Sisiw features Renz Valerio, Bianca Umali, Kimberly Faye, Hershey Garcia, and Mico Zarsadias. Set to breathe life to the other characters in the modern version are Lani Mercado, Raymond Bagatsing, Gardo Versoza, Mike Tan and Caridad Sanchez. Also in the lead cast is versatile actress Maxene Magalona in a very challenging role. Mga Basang Sisiw is under the direction of Ricky Davao. On June 10, primetime viewing will never be the same again as GMA 7 presents the most provocative drama series of the network via MY HUSBAND’S LOVER. This highly-dramatic and intriguing soap opera tackles true to life relationships. My Husband’s Lover is topbilled by Carla Abellana and Dennis Trillo and introducing the newest Kapuso Tom Rodriguez. Directed by Dominic Zapata, My Husband’s Lover dares to defy all conventions on traditional drama soaps and will soon capture viewers all over the country. Also in the cast are Pancho Magno and respected TV and movie stars Chanda Romero, Glydel Mercado, Roi Vinzon, and Ms. Kuh Ledesma. 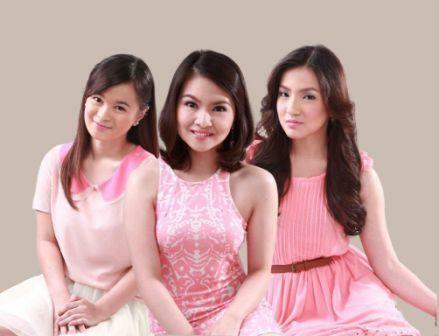 Also in the offing is MAGHIHINTAY PA RIN, set to captivate hearts beginning June 10. 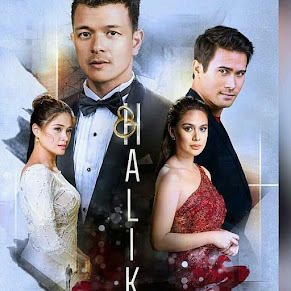 Versatile Kapuso actress Bianca King returns to the Afternoon Prime block as she shares stellar billing with two of the network’s sought-after leading men – Rafael Rosell and Dion Ignacio. 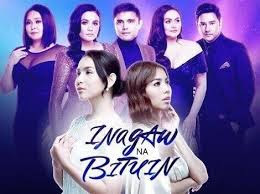 Under the helm of Don Michael Perez, also in the cast are Ayen Munji-Laurel and Kapuso stars JC Tiuseco, Diva Montelaba, Julie Ann Lee, among others. 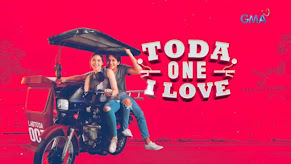 Beginning June 15, GMA Network presents its newest child-friendly offering that ushers adults and kids into a world where imagination becomes a wonderful part of everyday life via ONE DAY ISANG ARAW. The four kids who will topbill the program are Milkcah Nacion, Marc Justine Alvarez, Joshua Uy and Jillian Ward. One Day Isang Araw will present a different story every Saturday which will be narrated by the four kid characters. The episodes will not only impart values and moral lessons, but will also present stories that reflect the Filipino culture and heritage. Soon to bring beautiful music into every Kapuso home is the all-original morning series, WITH A SMILE, featuring a powerhouse ensemble of artists top-billed by Andrea Torres, Mikael Daez and Christian Bautista. Under the direction of Louie Ignacio, With A Smile will definitely send thrills and delights to the Kapuso viewers beginning June 17. Prepare for an all-out fun Sunday afternoon for the whole family as the brightest and hottest Kapuso stars unite for the launch of the newest and most exciting musical-variety program dubbed as SUNDAY ALL STARS. This upcoming spectacle will infuse a new level of noontime TV experience to Filipino viewers. There will be 4 celebrity teams, with each team headed by a Kapuso artist, who will participate for a showdown every week. Directed by Rommel Gacho, Sunday All Stars will definitely bring fun and excitement every Sunday afternoon through its world-class performers, ground-breaking concepts, and inventive production numbers this June. Aside from the roster of Entertainment programs, Kapuso viewers are also in for a treat as GMA Films ushers in two new and exciting movie offerings for the year. Portfolio Films and GMA Films will kick-start Philippine Independence Day with the theatrical release of DANCE OF THE STEEL BARS. 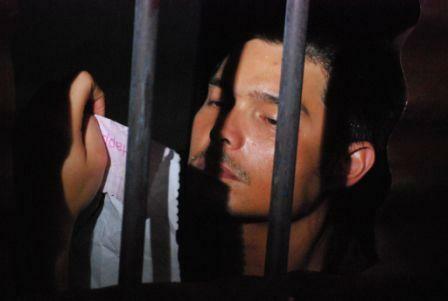 Directed by Cesar Apolinario and Marnie Manicad, the film, set against the real backdrop of the Cebu Provincial Detention and Rehabilitation Center, stars Dingdong Dantes, and Patrick Bergin. 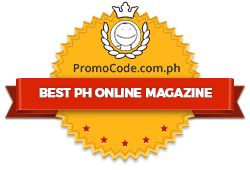 Playing equally important roles are Mon Confiado, Kathleen Hermosa, Thou Reyes, Gabe Mercado, Renee Salud and Gov. Gwen Garcia. 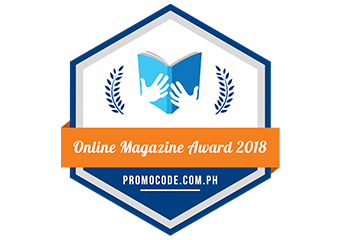 The story is inspired by the lives of the CPDRC Dancing Inmates and is a fictional account of how the dancing program started.